New bars come and go as fast as happy hour, but this shouldn’t put you off pursuing your dream business idea. For all the bars that have failed there are a number of really successful bars that have defied the odds. Before launching a fully-fledged bar business, you need to know what you are getting yourself in for. The best way to start is to get experience working in or managing a bar so you can understand how the day to day business is conducted. Once you’ve experienced the ins and outs of running a bar you can start to conduct market research and identify where your bar might fit in the market. You may already have an idea about the kind of bar you want to open, but market research will help you understand whether your idea will be profitable and what people will actually want to drink there. This should be the point where you ask yourself questions that will allow you to identify your target market. Include everything from the age of your target market to their occupation. Will your bar cater to people with higher salaries such as city professionals or will you aim to serve those on a budget like students? This would be a helpful starting point for you to identify possible locations for your bar and see what your competitors are doing. Sussing out competitors is very important. If certain bars are aimed at the same demographic you should make a list of what you think their strengths and weaknesses are. How are they spreading the word; via social media or word of mouth? Do they hold any promotions or events that are particularly popular? Go for a drink and assess what their price points are and what kind of vibe they have created with the décor. You can find out more about conducting market research from our detailed guide. Once you’ve identified your demographic, location, and possible price point you can come up with your bar concept. Your concept needs to be original in order to differentiate your bar from your competitors. There are many interesting concepts that have come into play in the last few years such as craft beer and roof top bars. You could be even more creative with your bar and base it on something special about its location or be as strange as a clinical or monkey themed bar. Activity bars have also proved to be big business recently (activity bars were one of our top business ideas to start in 2016). The possibilities are endless at this point – you just need to find a USP for your offering and make sure your target market will actually want to drink there. Now to get your ideas and projections down on paper. Once you’ve got an idea about where you want your business to go you can start writing your business plan (take a look at our business plan template). This should bring together all of your ideas in a succinct way. As your theme is important and central to your bar you should describe this as well as the atmosphere and structure of the business. It’s also important to make sure your business will work financially, your business plan should include set up costs, any needed investment – and your revenue projections, which leads us nicely onto our next step. To open a bar, your starting budget should be no less than £20,000 with the expectation that this number will increase as you establish your business. Aside from stock, you should factor in the costs of rent which could be from £3,250 to £6,500 depending on where your bar is based. Secondly you’re going to have to fork out for an alcohol licence, the cost of which varies depending on where your business is based. By law, you must obtain a licence and you’ll be charged a fee based on the rateable value of the property. Application fees range from £100 to £1,905, depending on the fee band of your venue. If you’re thinking of selling alcohol online, it’s worth checking out our page on what licenses you’ll need for selling alcohol online. Your licence will also take certain things like if you play music in your bar into consideration. Your bar will probably be selling alcohol, but will you be serving hot food and drinks between 11pm and 5am? If so, make sure you get the right licence. Do you plan on providing the following types of entertainment? If so, your licence will need to reflect that intent, otherwise your insurance might not be valid. 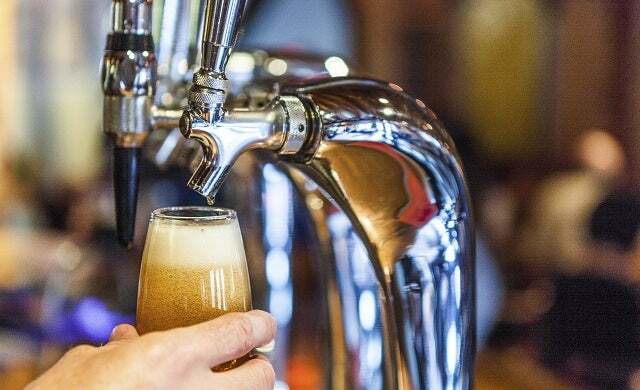 Another key legal cost will be business insurance; it is recommended that you get the highest coverage for your business to make sure you’re covered for any alcohol fuelled conflicts between customers or against your staff. You’ll also need to consider some type of point-of-sale system to enable customers to pay and to allow you to accurately report on your sales and stock levels (you can take a look here for our guide to small business POS systems). Also, our page on restaurant management software is a good springboard of information if you’re looking for efficient management solutions. While taking the time to set up your bar properly is crucial, the best way to ensure that your bar is a success is to make sure positive word spreads quickly. Word of mouth is a great way to get news about your business out, but social media is also a powerful – and free – way to get people interested. For example, if you’ve got any quirky cocktails or décor certain demographics may be inclined to share images with their friends. ‘Instagramability’ is big, especially in hospitality. Known for it’s 60’ glamour chic look and nothing less than stunning cocktails. Dealing with the weird, the wacky and the wonderful, Sketch has nailed quirky aesthetics as its USP. Florals, botanics and ‘pretty in pink’ pastels swirl together to create Bourne & Hollingsworth’s visit-worthy Instagram that’ll get any millennial itching to go. So, social media is well worth investing in because if it looks good on the ‘gram, people will flock, smartphones primed at the ready to snap your bar’s good side, whilst sipping your best-looking beverage. What’s more, the best way to ensure that your business gets the best feedback is to provide excellent customer service. Hiring the right staff and providing adequate training will be essential to ensure you can consistently deliver. For more detailed information, read our comprehensive guides on how to start a wine bar or how to open a pub. Design a website – designing a website is the best way to launch your business to the world. Find new customers and advertise your services. iPad POS – get a versatile point of sale system to help your staff create payments for customers. Chip and pin machines – let your customers pay by card and add speed and efficiency to your payment processing. Outsource HR – outsource your human resource responsibilities to ensure your staff are taken care of probably. Payroll services – use a payroll service provider to ensure that staff salaries are handled easily and effectively.